In front of the Quarry itself tourists will find a wooden building, which offers free wine tasting among the 15 independent vintners of the village all gathered in an association. Panzoult is a perfect terroir (combination of soil,underground and climate) part of the protected designation of origin (AOC) of Chinon, therefore the grapes used are Cabernet Franc for red and rosé wine, and Chenin for the small production of white wine. 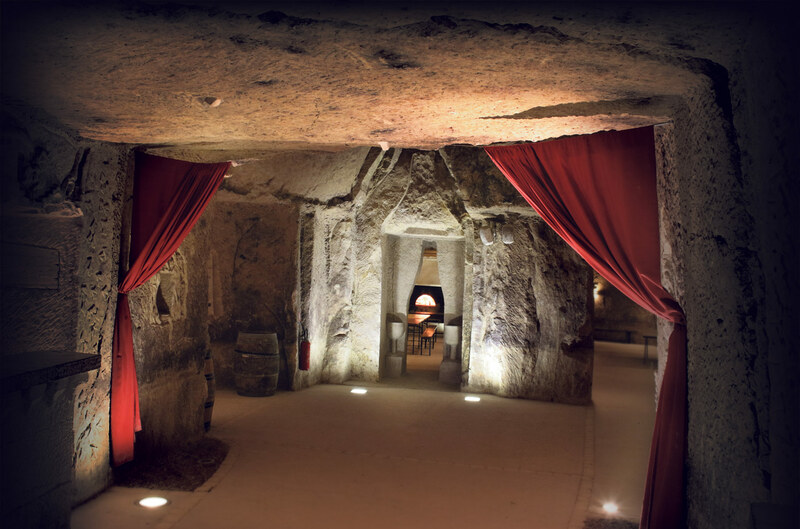 The aim of this place is to allow visitors to discover the wide range of aromas and the quality of the Chinon wine in one spot. The english speaking staff will be eager to answer your questions, guide you in your winetasting and/or purchases.